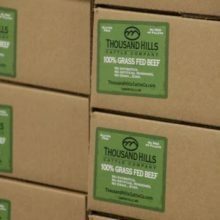 Colorado-based Natural Grocers said it has introduced Thousand Hills’ Lifetime Grazed beef brand in all of its 144 retail grocery stores across 19 states. Lorentz Take: We are very pleased to see the growth of our customer Thousand Hills Cattle Company. They have been a great partner for almost 2 decades, as they developed their local, then regional popularity. We look forward to supporting them as they continue!